On the first day of our trip to Scotland, you can probably guess what the majority of the day entailed. If your guess included the words “car” and “driving” you would be right. We left Swansea at 8am to start the long drive. Seemingly, 97% of the population of the United Kingdom also decided to take to the roads. Honestly, the traffic was the worst I have ever seen on our roads. It took nearly five hours to reach Wrexham! To make matters worse the SatNav was keen to remind us every mile that “the route has been recalculated taking traffic reports into account”. When we finally reached the M6, I thought that we would see the end of snails overtaking us on the grass verge – how wrong was I? A series of accidents, road works and numpties who should never have been allowed to use roller-skates, let alone a motor vehicle, caused tailbacks stretching back miles. We finally crossed the Scottish border and immediately stopped in Gretna Green. Not to get married as my girlfriend may have secretly been thinking, but just to stretch the legs and have a look around. 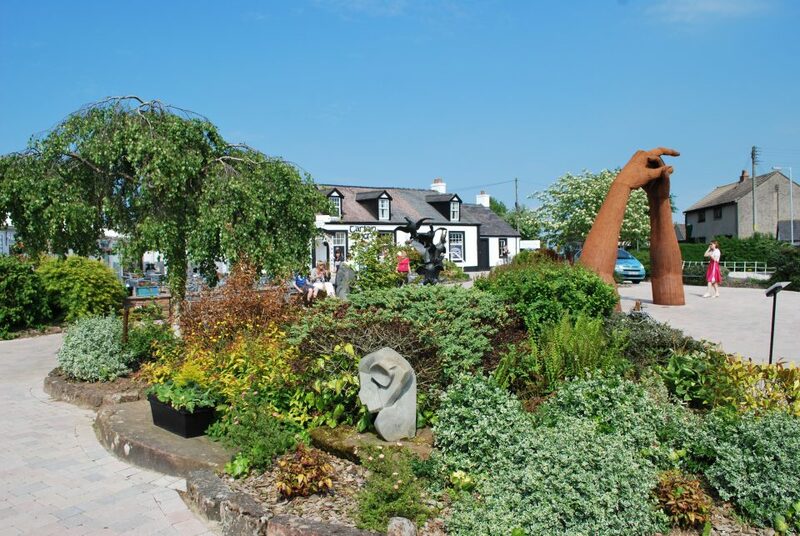 Gretna Green, being a famous marriage destination is just that. There are lots of sculptures and art celebrating the tradition of matrimony, even more tourists and lots of shops offering their wares to these folk. 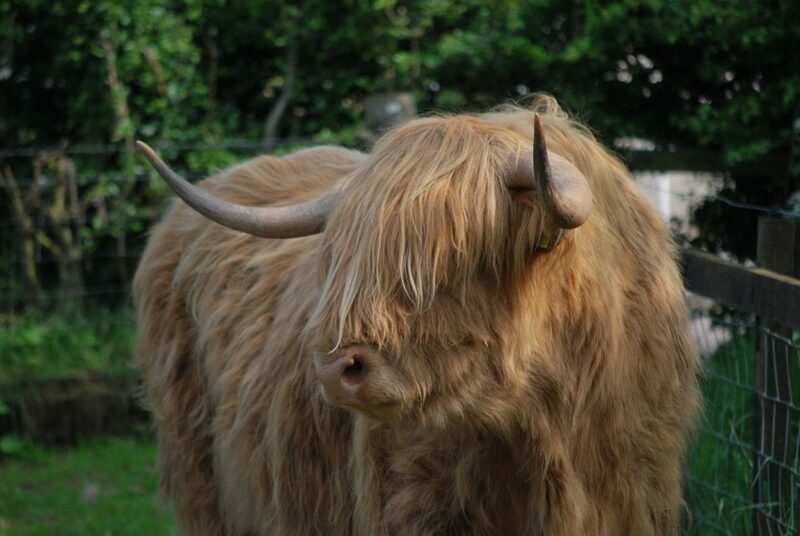 During the many years (ok an exaggeration) we spent in the automobile on the way up to Scotland, I happened to mention that we may see a Highland Cow when we reach Northern Scotland. I didn’t expect to see one in Gretna, let alone two. Obviously, the thoughts of placing these beasts next to a coach park is probably more of a commercial one. With the many coach hoards taking photos before I joined them! Motherwell is only 1.5 hours from Gretna but it dragged despite unusually no traffic at all. 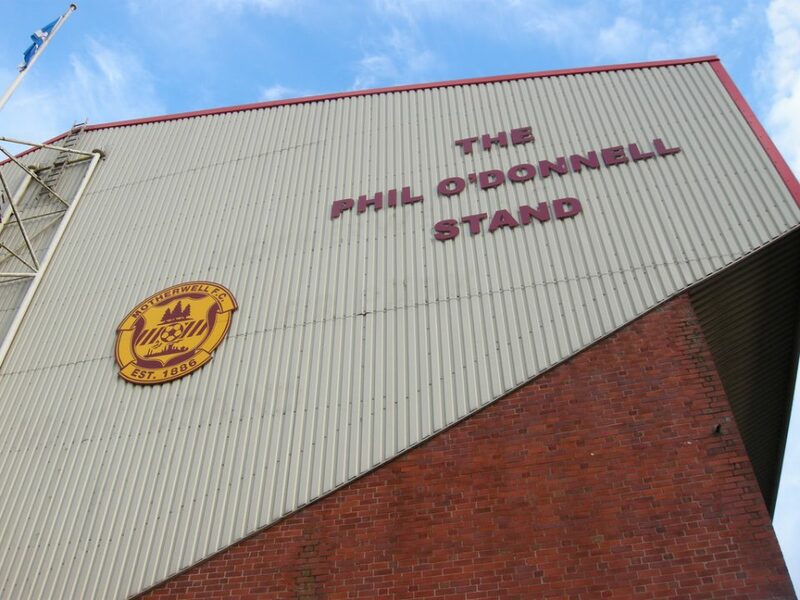 When we arrived in Motherwell we had a quick bite to eat in a Toby Carvery, washed down with a Caledonian Ale, before having a quick look at Fir Park, home of Motherwell FC. On to Drumnadrochit tomorrow – hopefully no traffic! Enjoyed this blog? Then remember to leave a comment. You can also follow us on Twitter or like us on Facebook. Have a look at our photos on Instagram and Flickr. And watch our videos on YouTube.